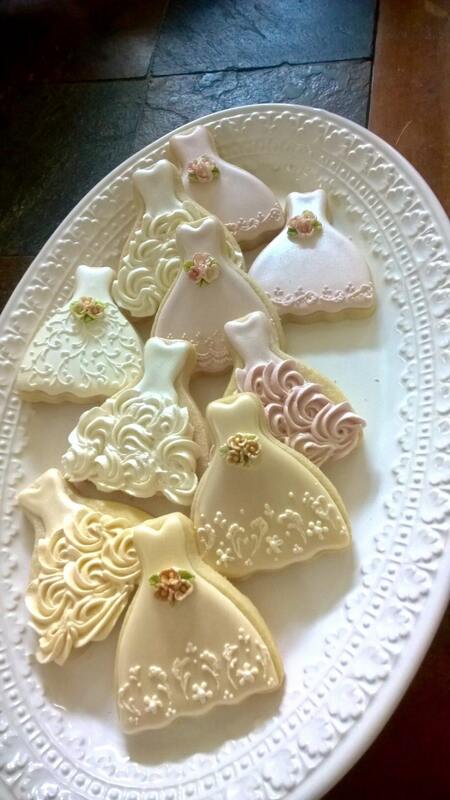 This listing is for 40 PIECES of this lovely petite gown cookies with a molded fondant flower bouquet accen and rossette piped icing details. This set will include 20 dresses with rosette icing detail on the skirt and 20 dresses with intricately detailed lace skirt (swirls from the waistline down to hem) and the fondant flower bouquet. Colors: Light pink and ecru. 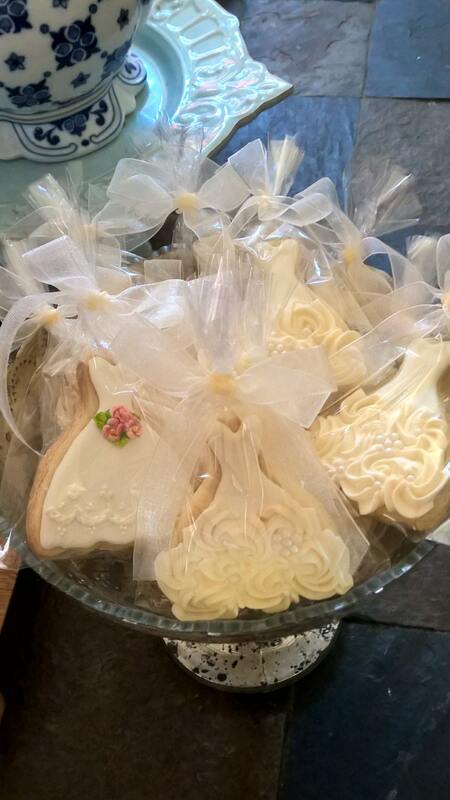 Each cookie will be individually wrapped with ribbon - white ribbon on the light pink and red on the ecru. 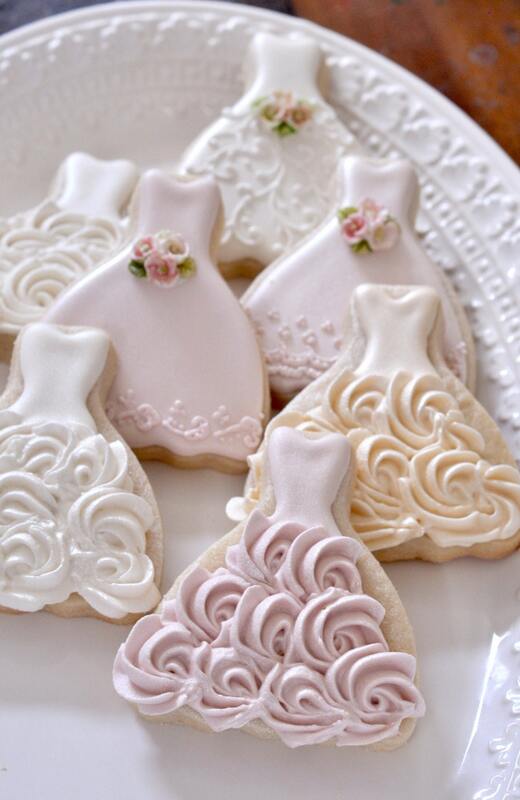 Beautiful Cookies!! Arrived in one piece. Shipped in perfect time. 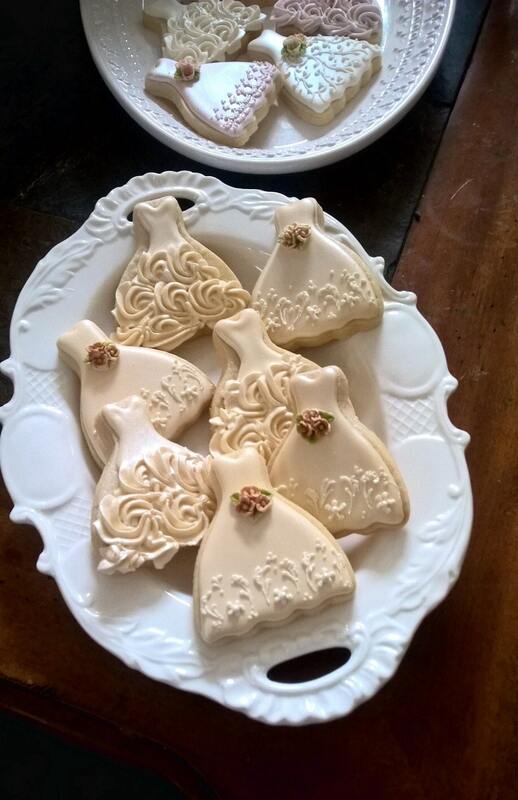 The cookies looked just as beautiful as the picture and they arrived in perfect condition! 10 STARS!!! 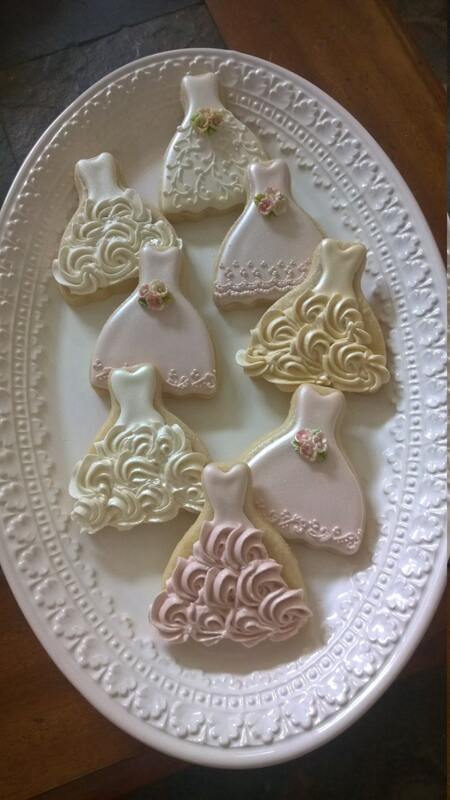 These cookies were the talk of my daughters bridal shower. Arrived safely! So beautiful! Thank you for such beautiful cookies! Outstanding! Exactly as pictured and tasted yummy. Highly recommended.